On a fateful summer morning in 1986, two eleven-year-old girls meet for the first time. By the end of the day, they will both be charged with murder. 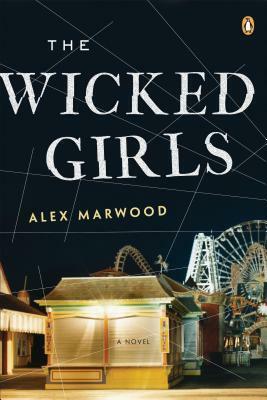 Twenty-five years later, journalist Kirsty Lindsay is reporting on a series of sickening attacks on young female tourists in a seaside vacation town when her investigation leads her to interview carnival cleaner Amber Gordon. For Kirsty and Amber, it’s the first time they’ve seen each other since that dark day so many years ago. Now with new, vastly different lives—and unknowing families to protect—will they really be able to keep their wicked secret hidden? Gripping and fast-paced, with an ending that will stay with you long after you’ve read it, The Wicked Girls will appeal to fans of the Academy Award–nominated film Heavenly Creatures and the novels of Rosamund Lupton and Chevy Stevens. Marwood has crafted a fast-paced and sensitive novel around the controversial subject of child murder. Those of us on the outside looking in certainly have strong opinions about this topic. By the end of this novel I was wondering about the "facts" that reach us on the outside of such cases...just how factual are they? The Wicked Girls is a scorching commentary on our modern media. I found this to be entirely fascinating, especially since the author is a journalist herself. This book reminded me that some news reports should be taken with a healthy grain of salt. Plot twists and revelations abound in this character driven tale. I was consistently taken by surprise, a very good thing in a psychological thriller. Alex Marwood is the pseudonym of a successful journalist who has worked extensively across the British press. Alex lives in South London and is working on her next novel. Not the kind of thing i typically read, but i liked it too! Sounds very exciting to me! I've been lately attracted to books like these - they sound very mysterious without being from the mystery genre and there's some human element too. "scorching commentary on our modern media"
Sold! I love scathing portrayals of the media. Hmmmm sounds awesome! And if I'm not mistaken you read this one really quickly, too, which is always a good sign. You're correct, I zipped through this one! Another very readable book, lol. This sounds really cool! I'm not usually into murder mysteries but I like the decades later chance reunion aspect. I will be purchasing this in the near future. It sounds good. I read a book called "The Aviary" It was a mystery book. It involves a girl about 11 and her friend as they figure out the mystery of how the childern of the widow her mother takes care of died. I enjoyed it. I'm glad to hear it! I hope you like it as much as I did :D I'm going to have to look up The Aviary, don't think I've heard of that one. Right!? 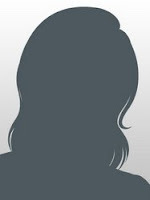 The pseudonym thing drives me a bit bonkers ;) WHO ARE YOU??? Hadn't heard of this one yet, but your review has me totally on board. This is right up my alley! Groovy! I hope you'll be able to pick it up Kelly :D It's a fun ride. I will admit that, while Heavenly Creatures gave me the heebee-jeebees, I am intrigued by this one. I don't think I've read Heavenly Creatures...hmmm, should I?? Oh it sounds really good! I'm going to add it to my list and see when it's on sale for Kindle. Great! I'm super glad to hear it :) You'll have to let me know what you think! LOL, you don't sound happy about that Diana ;) I hope your library has a copy you can snag! Only because you made my huge wish list topple over. ;-) Also, my library hold has been placed. Yay! I blame bloggers for my ridiculous wish list as well ;) Awesome! I hope you really like it! You have been picking up SUCH GOOD books lately! I am adding this one to my list NOW. It looks like one I'll fly through in a day. I've had a string of awesome books lately, yay! I did have a DNF in the middle of these but I might even go back to that one at some point. I think you'd really like this one! Penguin sent me a copy which I haven't yet read, the topic of child murder being a bit tricky for this elementary teacher/mother. But you have sufficiently enticed me to pick it up soon! Those parts aren't exactly easy to read, heartbreaking for sure. I do hope you read it soon though, it's a good one. Got a pitch for this one and I thought it sounded interesting but I've got so many books I need to read. Now I think I'd better find that email! Yes, go find it! I hope you haven't deleted it. I know what you mean though, about having SO MANY BOOKS TO READ! This sounds a bit like several other books I've read lately, but it still sounds like a great read. I am sorely tempted to add it to my overburdened wish list. AH! This sounds so great. I love me some psychological thrillers. Sounds like a very good thriller. I like when you don't know what to expect so you just go along for the ride, constantly being surprised with the way the plot goes! I don't read thrillers really, but I appreciate the genre a lot. Yes, exactly! :D That's what this was like...wheeeee! I was just along for the ride ;) Thanks for visiting! This sounds like an exciting book! Ha ha! It's a mystery darn it and I want to know who she is! The Wicked Girls sounds like an intense read. I want to read it! I have such vivid memories of hanging out with friends at the carnival that came to town when I was about 11. Sounds like one to add to the TBR pile! I wasn't too interested in the summary, but if it's a commentary of sorts then it sounds much more appealing. And yes, certainly interesting given the author's job! OMG 11-year-olds convicted of murder??? Just the thought of that terrifies me... kids are scary. So I don't know if I'll brave it or not, but I'm intrigued by the "commentary" aspect of it! You are so right about the Lupton recommendation. I'd say their styles are very similar at times.